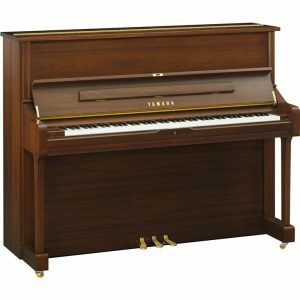 Which piano / keyboard should I buy? Unless I’ve heard you play and been to your house it’s hard for me to know what you need! Keyboard manufacturers release new models every year, and there’s an almost endless choice when it comes to second-hand pianos. how many hours you’re going to spend using it between buying it and selling it. Try and buy an instrument that’s not going to lose a lot of value over time. For instance, I once bought a high-end camera for close to $1,000, which sounds like an expensive purchase, but because it wasn’t the latest model I was able to sell it for exactly the same price 6 months later, so in practical terms I actually rented it for nothing. Suddenly the $500 keyboard doesn’t seem so expensive. How much do you value your time? With that in mind, let’s look at different types of piano / keyboard, starting with the most expensive and working our way down to the cheapest. I’m not doing that to depress you, by waving something expensive in front of you that you can’t have, but because it makes more historical sense: grand pianos were invented first, for professional musicians, and then developed into upright pianos for domestic use. The advent of electricity allowed the invention of keyboards, and then touch screens allowed the invention of apps. 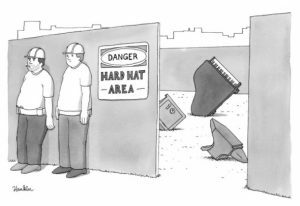 I imagine VR will be the next big thing, but it’s not widespread enough to write about yet (and it’s going to have a similar problem to apps for several years). When considering the merits of the latest incarnation of a keyboard it helps to understand where it came from. With all of the instruments below, there are really only two factors to consider: sound and touch (cost and size are more dependent on how much money and space you have than on the instrument itself). I think everyone has a pretty good idea of what I mean by sound : you want an instrument that sounds good. 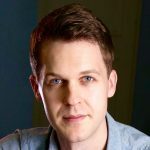 Different people are going to have a different ideas about what constitutes good sound, and the section on grand pianos will give you some idea of what I think constitutes good piano sound, but essentially the more you pay the better something will sound. Touch is a little less obvious, especially to beginners. Basically, when you learn to play the piano, you’re learning to perform a sets of movements in order to produce sounds. The large, solid, wooden keys on a grand piano are much heavier than the small, hollow, plastic keys on a cheap keyboard, so the movement you need to produce a similar sound on a grand piano and on a cheap keyboard are going to be very different. That means that if you master a piece on a cheap keyboard and then try to play it on a grand piano it’s not going to come out very well – you’ll have learned slightly the wrong set of movements. You might be able to play the notes in the right order, but you’re not going to be able to get them to sound good. (It works the other way round as well – if you’re used to playing pianos only you’re going to find it hard to play keyboards well.) This begs the question, why are you learning to play piano? If you’re learning so you can programme tracks on your computer then a keyboard is fine, because it’s the only instrument you’ll ever play, but if you’re learning so that you can walk into a bar and dazzle people with your piano skills, then a cheap keyboard is not going to be the best preparation. Grand pianos are to keyboards what grandfather clocks are to digital watches. Yes, they’re large, and noisy, and imperfect, and expensive to maintain, but there’s something amazing about at beholding an instrument that’s handmade and runs on nothing but gravity. When you play a grand piano you’re producing all the sound yourself, without electrical assistance. There’s also something beautiful about the manufacturers striving to produce something perfect from imperfect materials, like wood, which is organic and ages. For example, if you look inside a piano you’ll see that the low keys hit one string each, the middle keys hit two, and the high keys hit three strings. A lot of ingenuity goes into making the transition from one to two to three strings seamless. Perversely, the more expensive the keyboard you buy, the better it replicates not just a grand piano’s strengths, but also its imperfections. For example, if you press the pedal on a good digital piano, you should be able to hear the imaginary echo of the strings and soundboard. The better you understand how a grand piano works, the better you’ll understand what you’re paying for in a good keyboard. However, very few people have the money and space for a grand piano, so let’s move onto uprights. Brands to go for: too many to choose from, but don’t be fooled by, e.g., a cheap Chinese piano with a German name. Ask a) where the parts were made, and b) where they were assembled. Uprights were invented to reproduce the sound and feel of a grand piano as well as possible without taking up so much space. Because they’re smaller, they’re usually not as loud and the keys are not as heavy, although this varies from instrument to instrument. If you’re even considering an upright piano, the big decision for you is going to be between an upright piano and a digital piano, so let’s discuss that in the next section. Brands to go for: see grand pianos , above. Why get a digital piano instead of an acoustic one? 1) You don’t want to disturb neighbours. By default a digital piano produces sound through speakers, but if you plug headphones in the speakers switch off and all that the people around you can hear is you tapping the keys. 2) Under a certain price, digital pianos are actually better than real pianos. For the price of a entry-level new upright you can get a really good digital piano (at the time of writing this is about $2,500). 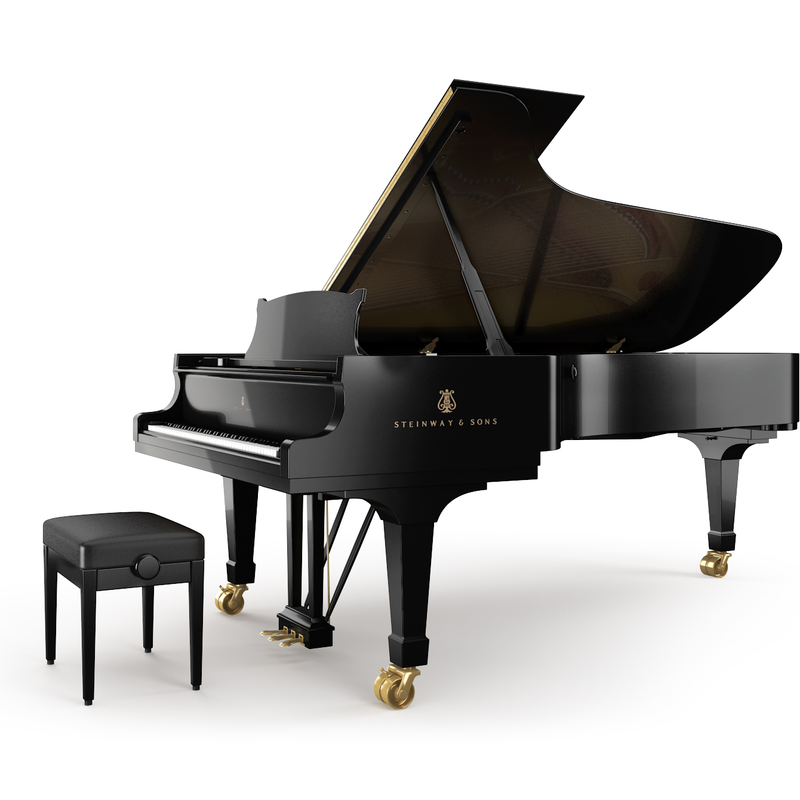 The entry level upright will have light keys and a tinny sound, but the digital piano will have heavy keys and a beautiful, resonant (albeit digitally-produced) sound. The digital piano will make you a better pianist. However, this comparison gets less true the more money you spend. 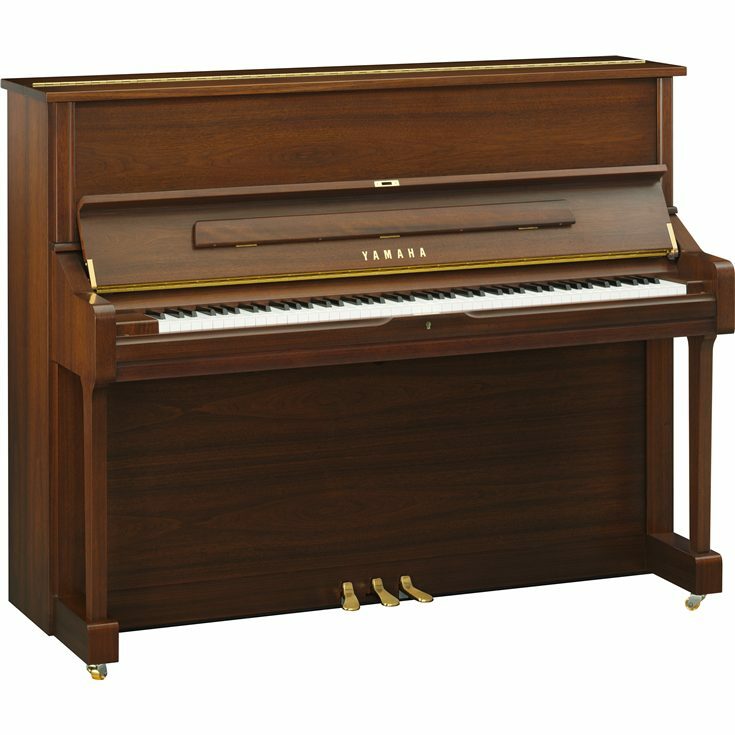 Digital pianos don’t get that much better past the $2,500 point, but acoustic pianos a lot better, so if you’re spending $10,000 instead you’re definitely better off getting an upright. 3) You don’t have to tune / maintain digital pianos, whereas acoustic pianos need to be tuned every 6 months, and repairs can be expensive (although repairs are more relevant for second-hand pianos). 4) They’re easier to transport than real pianos. An acoustic piano is basically a harp in a giant box with 88 wooden hammers. A digital piano has heavy keys and speakers but none of the harp or the hammers, so it’s easier to get up and down stairs. On the down side, a digital piano will lose its value a lot faster than an acoustic piano. Acoustics pianos haven’t developed much in the past 10 years, but digital pianos have developed at a similar rate as other technology (think of smartphones), and so become out-of-date fast. 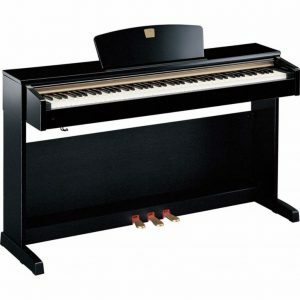 While we’re here I should mention silent pianos, which are a hybrid of the above 2 instruments. A silent piano is basically an acoustic piano with a digital piano built into it, so by default the sound is produced by hitting strings with hammers, but if you flip a switch the hammers no longer hit the strings and instead a digital sound is generated through headphones. They are really great instruments, but if you don’t have one already I don’t recommend buying one, for the reason I described in the last paragraph of the last section: digital pianos lose value much faster than acoustic pianos. So if you buy a silent piano, 5 years down the line you’re going to have a perfectly good acoustic piano with an out-of-date digital piano inside it that you can’t update / replace. If you want both an acoustic piano and a digital piano and have enough space then just buy them separately – it could even cost you less upfront. You can still play Ray Charles on a digital piano and play Chopin on a stage piano, just not quite as well. Confusingly, the word keyboard both means the part of a piano made up of keys and also electronic instrument with a keyboard and lots of sounds and speakers . In this section I’m talking about the second type. Maybe there are keyboards that do everything well (I’ve never played one), but they must cost a fortune, and even then I imagine that digital / stage pianos / computers are going to some things better. At the other end of the spectrum there are really cheap keyboards available – you can get some for $200 or less. They’re not great, but if you’re starting out, something is better than nothing. 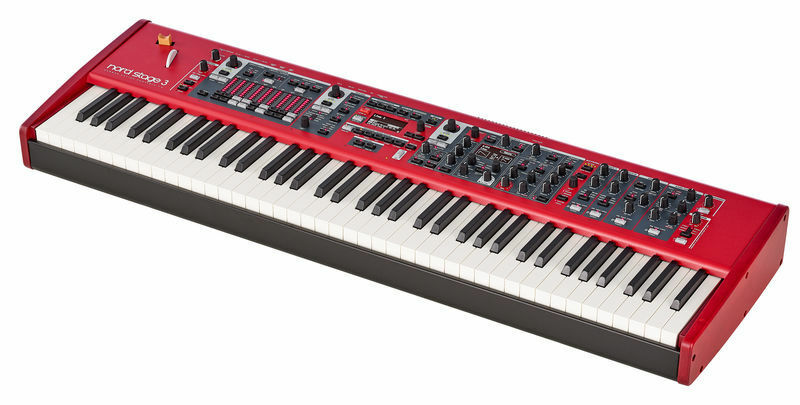 However if you’re thinking of going for a keyboard you might want to consider the possibility of a MIDI controller instead, below. The advantage of this is that it’s cheaper. A MIDI controller is likely to be half the price of an electronic keyboard with similar quality keys, so you can either save money or get better keys for the same price. You can probably download a keyboard app to your tablet for free. In itself, this is pretty amazing (imagine trying to download a piano for free in 1800), and keyboard apps can be useful for practicing your sight reading or playing-by-ear skills when on the go. However, I don’t recommend them for actual playing. That’s because no matter how well designed a keyboard app is, with perfectly-shaped keys and great sound, you’re still touching a flat screen instead of pressing physical keys, and therefore are practicing a completely different set of physical movements than you would be if you were playing a real keyboard. (This explains why, for example, Lang Lang plays so many wrong notes in The Flight of the Bumblebee on an iPad. Being technically one of the greatest pianists in the world doesn’t prepare you for playing a flat screen.) I wouldn’t take on a one-on-one student who didn’t own some kind of physical keyboard. Note that any electronic instrument can be connected to a computer. Anything you think I should add / change? Drop me a line and let me know.